As authors we generally have one goal, apart from writing books . . . and that’s to sell them. If you accept that as a key goal, then one thing is vitally important, and that is getting the message out there that your books exist. Without some form of marketing, your book will just reside on Amazon’s server as a Kindle file, and do nothing more. So what do I mean by an author having a brand? The picture below represents arguably the best known brand on the planet. Certainly, if a company called Interbrand are to be believed, the Coca-Cola brand is the most valuable in the world, with a current estimate, for the brand alone, in the region of $67billion. No, that’s not a typo. It’s valued in billions of US dollars. Why? The answer to that is quite simple, although the calculation Interbrand use is very complex. Wherever you go in the world you’ll generally be able to buy a bottle, or can, of Coca-Cola. Compared to a ‘local cola’ or supermarket ‘own brand’ cola, Coca-Cola is more expensive. 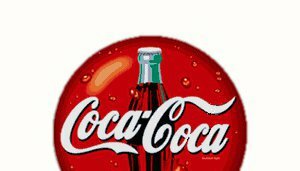 So it sells more than any other cola, and sells at a higher price than any other cola, and the logo is recognised the world over. That’s the value of the brand. Now as an author you’ll never compete with Coca-Cola. Not even JK Rowling comes close, and neither should she. It is a different product, in a different market. But let’s get back to the Coca-Cola logo for a minute. It has remained unchanged for decades - hence why we immediately recognise it. So if Coca-Cola advertises on the TV, in the press, on poster sites, the logo is consistently the same. I now want to raise the question . . . what is YOUR logo? It can’t be your book cover, unless you only write one book, and most authors write several. Most marketing of books, particularly indie books, is done on the Internet, using, in the main, social networks, such as Twitter and Facebook. If you do use Facebook, make sure it’s an ‘author fan page’ you use to market your book, not your page which family and close friends connect with you. Sure, mention the odd success on the latter, but leave the marketing to your author page. I digress slightly, but within intent. Your logo needs to be YOU! Until your books become a brand in their own right, like Harry Potter, the only common theme running across your books is you. So how do you build a brand around you? The first thing is create consistency across all marketing platforms, and one way to do this is use the SAME photograph of yourself on EVERYTHING related to your books. Now, I loathe having my picture taken, and the photo I use is one taken by my youngest daughter (using my camera!) when I wasn’t looking. It probably looks posed, but I can assure you it wasn’t - but it’s the one I chose to use. You’ll not see another photo of me on anything linked to my books. I use it on Twitter, Facebook, my website, other websites which promote my book, etc. I know other people who do the same, and it helps me enormously. If I’m interested in their tweets, and I can see their face on my Twitter feed, I’ll click on the tweet. The same goes for Facebook, when I’m scrolling through the latest updates. However, if they change their profile picture, and many do, I’ll easily miss their message, and what’s the point of messaging in the first instance if you give people a barrier to seeing it. So for me, rule number one is - select a picture you are happy with (or in my case find acceptable), and STICK with it. (Leave the profile picture changing for your family and close friends on your personal Facebook account.) Don’t hide behind a book cover, or some other artwork. People interact best with people, and are more likely to trust you if they can see what you look like. I very rarely follow back ‘Eggs’ on Twitter, and I certainly don’t start the following process with them. By creating a common ‘theme’ across all the marketing platforms you use, you will start to become more recognised, and recognition will, if established correctly, build a good reputation. That good reputation will then help to sell your books. Finally, at the beginning of this article I drew your attention to the Coca-Cola logo at the top of the page. So ingrained is that logo in our brains, you probably didn’t spot the subtle mistake in the one I used. (See if you can spot it.) When you can see and recognise a logo, and not immediately see a subtle mistake, you know that logo is part of a very strong brand. thank you very much for your information! I think it finally just clicked what our brand should be! thank you for your post! It finally made sense. Thank you for this! I now understand about 'branding.' I know I've been going about it the wrong way.